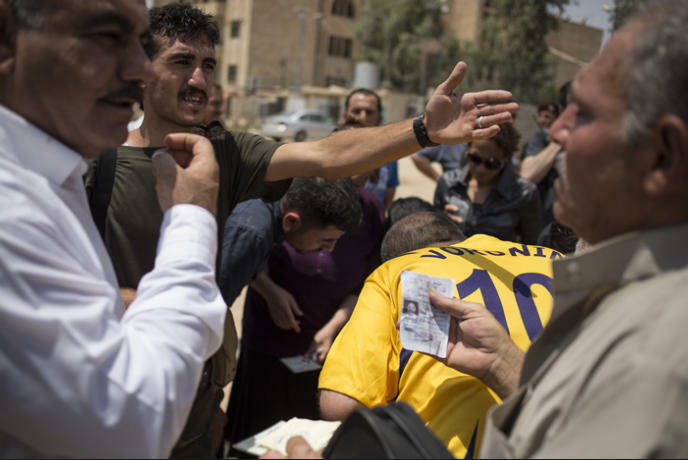 On July 18th of July 2014, ISIS gave the remaining Christians of Mosul an ultimatum: convert to Islam or pay an 80 000 USD “tax”. 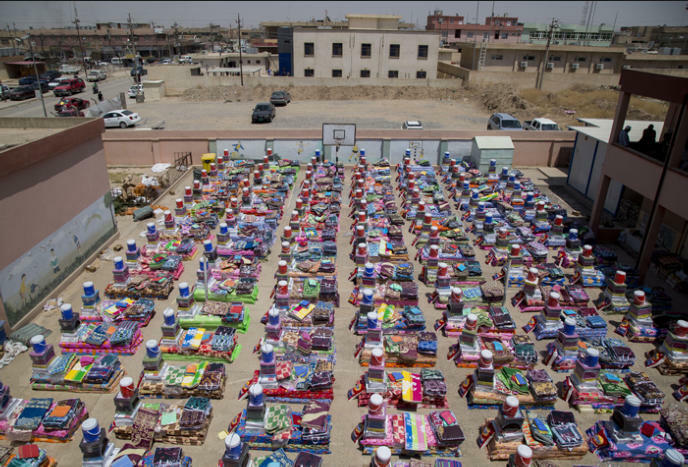 Fearing for their lives, most of the Christian families have chosen to flee to the nearby Christian town of Qaraqosh, currently under Kurdish Army control. Here they are welcomed by the Kurdish autonomous governorate and receive help from the Syrian Catholic Church of Mosul as well as from humanitarian organizations such as IOM and the Barzani foundation. Wishing not to worsen the humanitarian situation in this part of Iraq by implementing internationally displaced camps, Mgr. 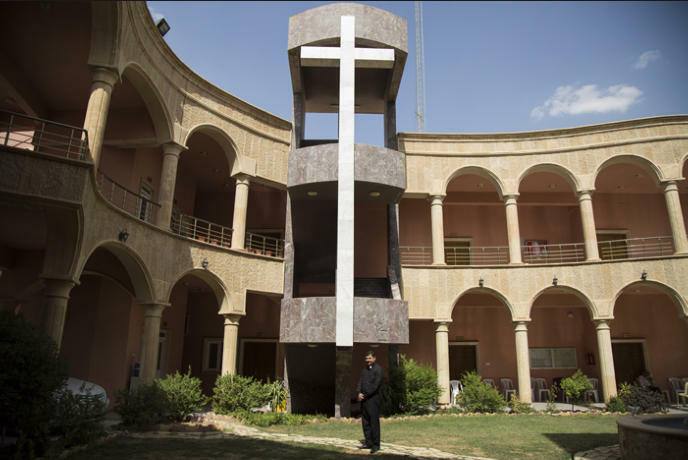 Yohanna Petros Mouche, the archbishop of Mosul in charge of the displaced Christian population, has arranged to relocate Christian families in newly constructed buildings all over town. 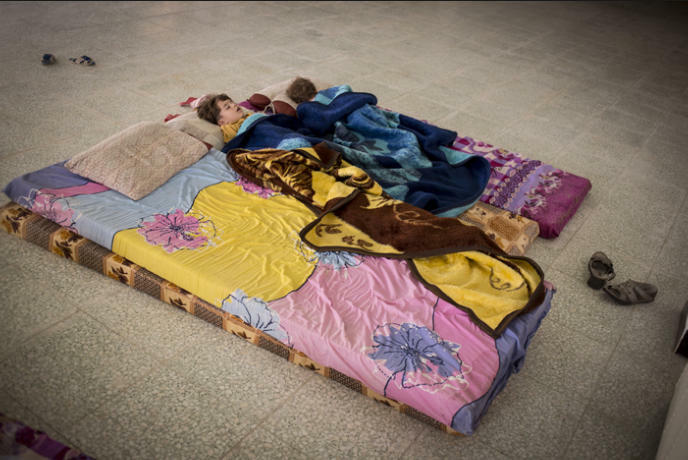 He estimates the number of Christian families having fled from Mosul since July 18th is around 425. 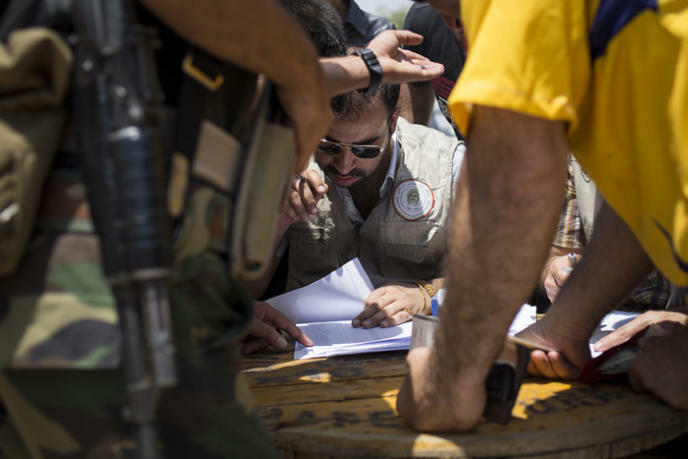 A Peshmerga (Kurdish Army Soldier) looks away as Christian refugees show their papers in order to receive basic household goods at a humanitarian aid center. Qaraqosh, Iraq. 21/07/2014. 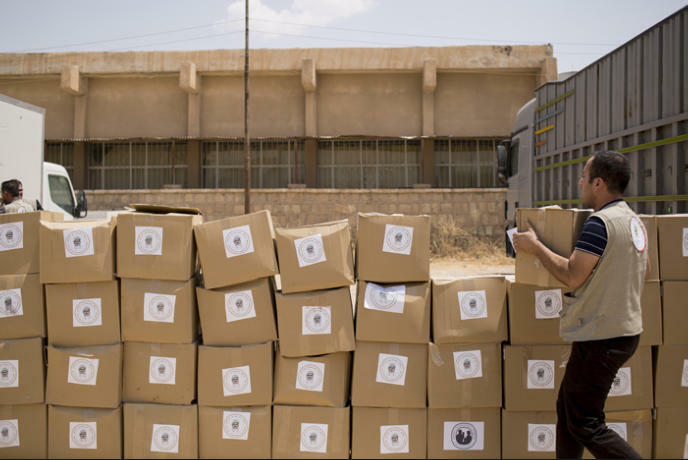 A Barzani Foundation aid worker thoroughly checking that each refugee has previously registered to receive humanitarian help. Qaraqosh, Iraq. 21/07/2014. 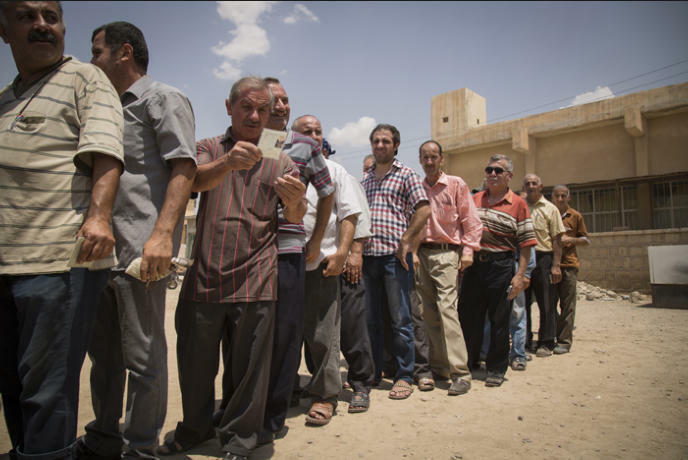 Christian refugees are waiting in line to receive stoves and gas bottles donated by the Barzani Foundation. Qaraqosh, Iraq. 21/07/2014. 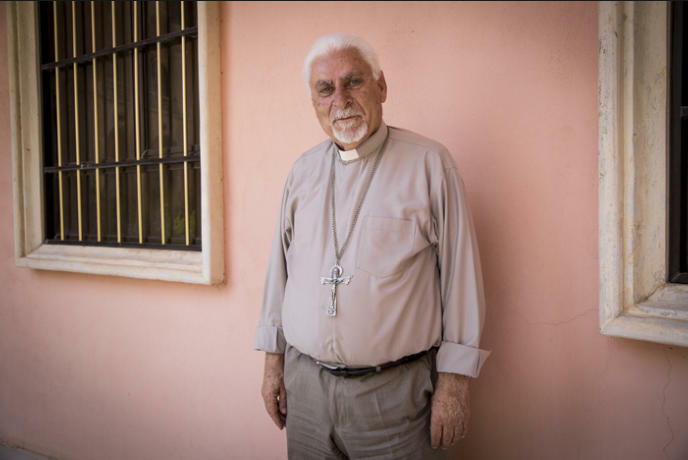 Priest Emmanuel from the Syrian Catholic Archdiocese of Mosul now organizes the dispatch of Christian refugee families having fled Mosul for Qaraqosh. He is pictured in front of the Qaraqosh seminar. Qaraqosh, Iraq. 21/07/2014. Syrian Catholic Archbishop of Mosul, Mgr. Yohanna Petros Mouche poses for a portrait at the Qaraqosh seminar. Qaraqosh, Iraq. 21/07/2014. 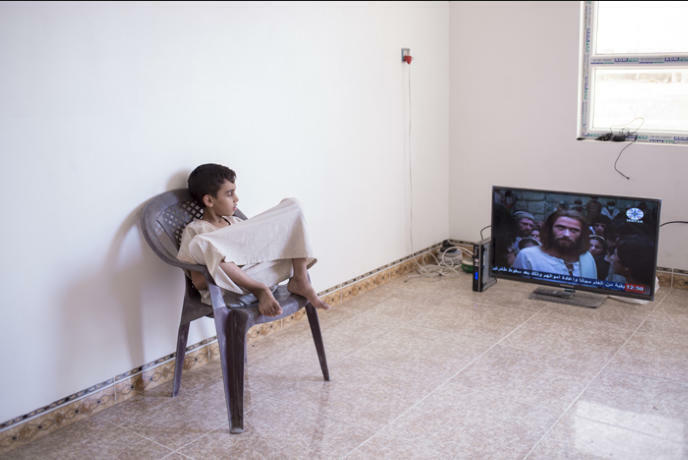 Fayez’s son watches a TV movie about the life of Jesus Christ in the flat the family have been allocated. Qaraqosh, Iraq. 21/07/2014. 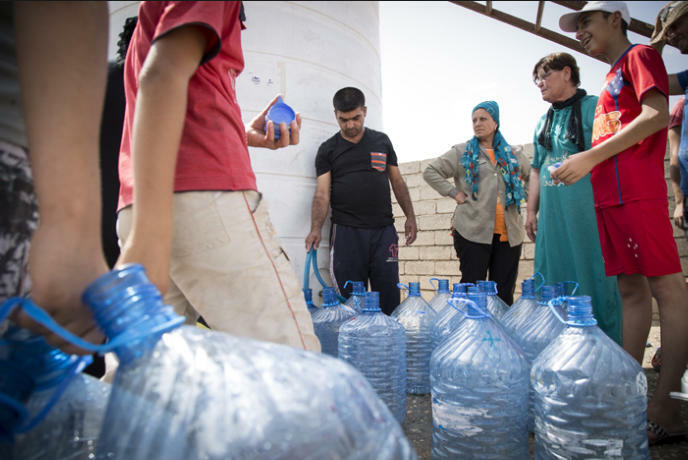 Christian refugees gather around a water reservoir to fill up water containers. Many of these Christian families do not have access to running water or electricity. Qaraqosh, Iraq. 21/07/2014. Basic household goods are displayed at the humanitarian aid centre. Qaraqosh, Iraq. 21/07/2014. 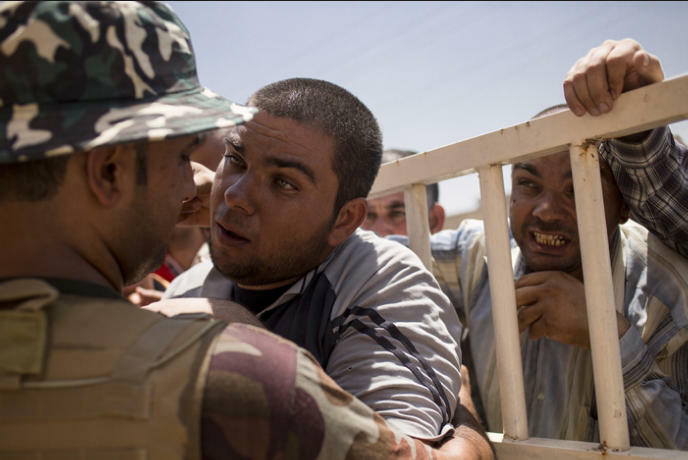 A Christian refugee demonstrates his anger at a Peshmerga as he is refused entrance to the humanitarian aid centre. Qaraqosh, Iraq. 21/07/2014. 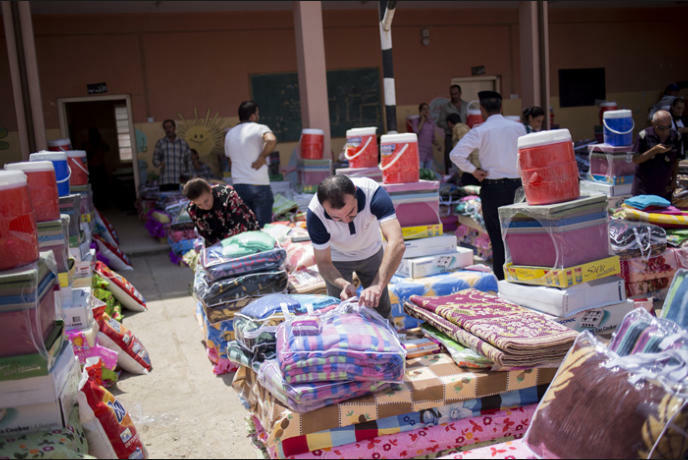 Each displaced Christian family receives basic household goods at the humanitarian aid centre. Qaraqosh, Iraq. 21/07/2014. 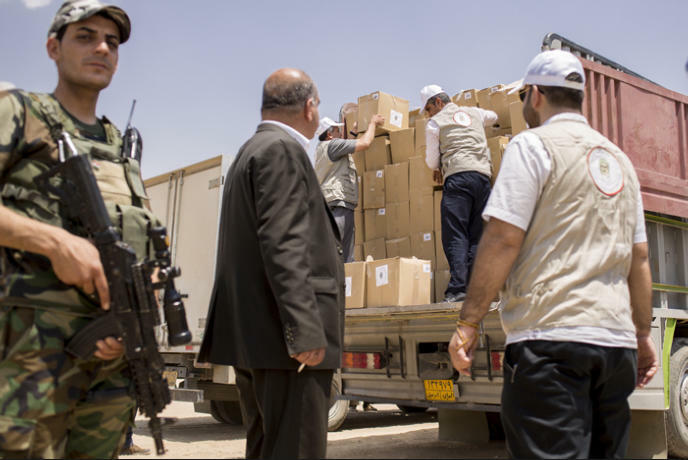 Barzani Foundation aid workers unload a truck filled with stoves which will be given to Christian families. Qaraqosh, Iraq. 21/07/2014. 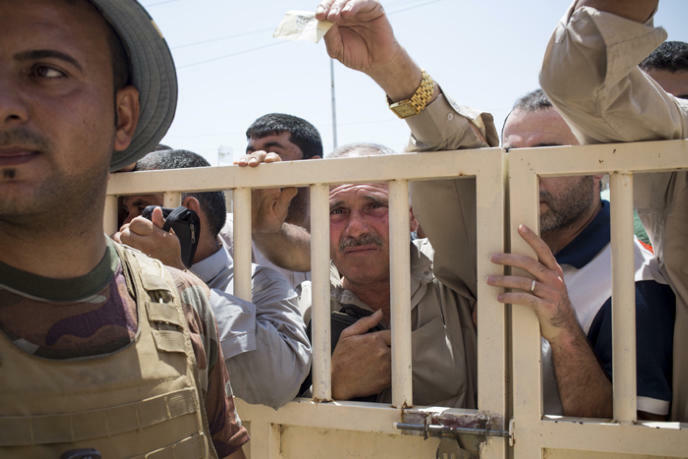 A Christian refugee is told by a Peshmerga to wait in line in order to receive humanitarian help. Qaraqosh, Iraq. 21/07/2014. 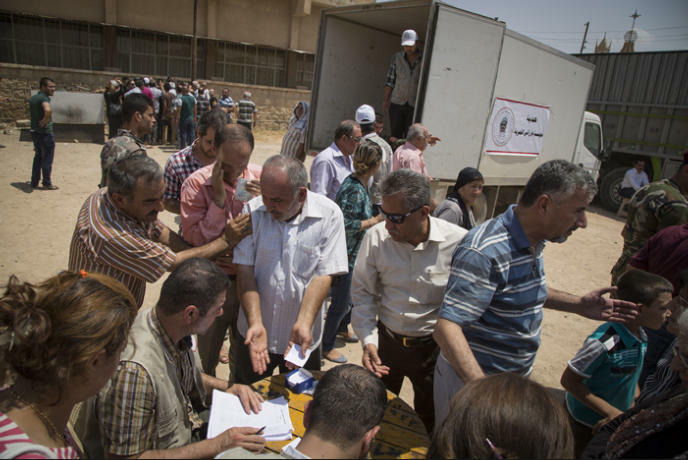 Christian refugees who have not previously registered to receive help show their anger. Qaraqosh, Iraq. 21/07/2014. 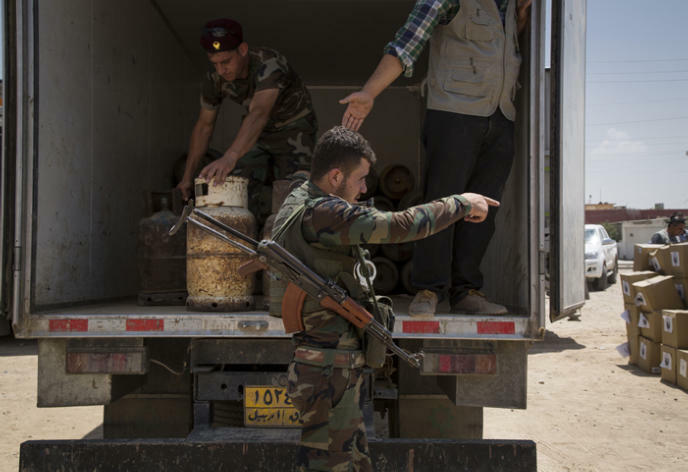 A Peshmerga points out toward the direction of the registration office. Qaraqosh, Iraq. 21/07/2014. 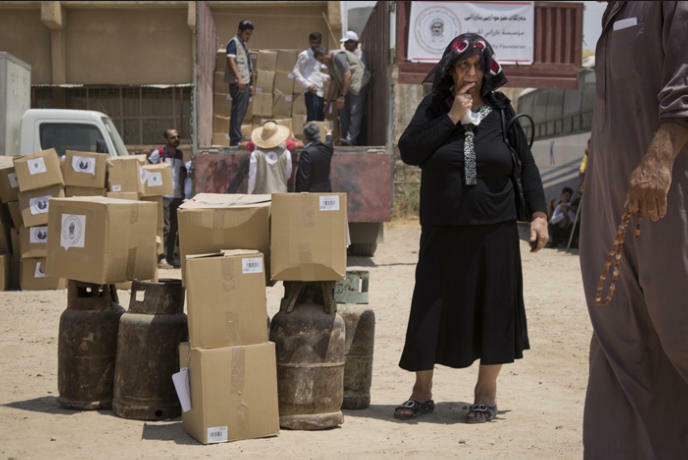 A Christian refugee woman is waiting for help to carry the goods she has been given. Qaraqosh, Iraq. 21/07/2014. 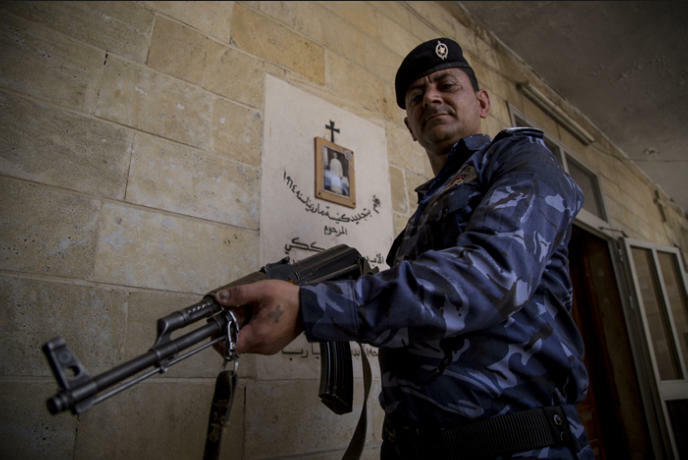 A Christian regular Iraqi army soldier stands watch near a church. Qaraqosh, Iraq. 21/07/2014.